Avocados are packed full of nutrients to benefit your health in several ways. It has a creamy texture and grows in warm climate. It is also known as the butter fruit and contains 20 vitamins and minerals. Avocados give your body a boost of nutrients including vitamin C, E, K, B6, and Riboflavin, folate, niacin, pantothenic acid, magnesium, potassium, lutein, beta carotene, and omega 3 fatty acids. Avocados contain all healthy fats good for your appetite. Also, fats signal your brain to turn off appetite and slow down carbohydrates breakdown in the body which keeps the blood sugar levels stable. Eating healthy fats keeps your immune system optimal by absorbing all essential vitamins and minerals. Avocados are healthy for your heart as they maintain cholesterol levels with the help of natural plant sterol. Avocados contain two phytochemicals that are good for vision as they give antioxidant protection from ultra violet light. Avocados contain vitamin K which is essential for bone health. Half an avocado can provide your body with 25% of the daily requirement. Calcium and Vitamin D are thought to be responsible for healthy bones whereas vitamin K also helps in the absorption of calcium and reduces its excretion in urine. Some phytochemicals found in avocados can inhibit the growth of cancerous cells and decrease chromosomal damage caused by chemotherapy drugs. Pregnant women require folate essentially from early pregnancy to prevent their babies from neural tube defects and miscarriage. Avocados are rich in folate content and can prevent its deficiency. As discussed earlier, avocados contain folate which is also beneficial for depression treatment. Avocados prevent build up of a substance which inhibits delivery of nutrients to the brain. Excess of this substance ‘homocysteine’ can also impair the production of mood regulating hormones in the body. Avocados are rich in fiber content which prevents constipation and colon cancer. Detoxification of the body takes place with regular bowel movements. This will also help in regulating the immune system. High fiber content protects the body and lowers risk of heart disease, stroke, high blood pressure, diabetes, obesity, and gastrointestinal diseases. Avocados are good for your overall immune system as they prevent chronic diseases. Avocados are versatile and you can use them for almost everything in a meal. They serve best as a dip, smoothie, spread, pudding, mousse, and ice pop. Avocados are creamy and that is what serves best for dips and salads. Mash avocados and mix them with your favorite spices and lime to make the most delicious dip. Instead of chips, you can choose healthier options such as celery, red pepper strips, and cherry tomatoes. Avocados make a wonderful spread for toast to enjoy in breakfast or as a snack. Adding seasoning is your choice as it will make your sandwich even more delicious. 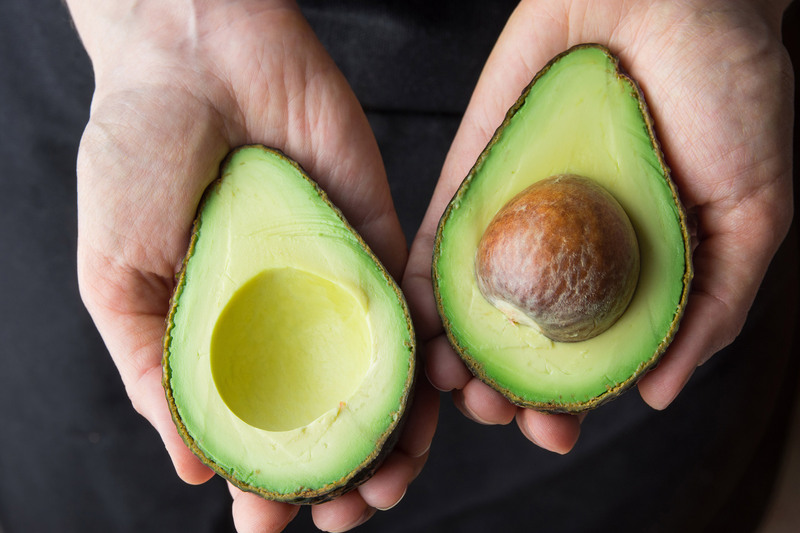 You can use a quarter of an avocado in your smoothie to make it even healthier and tastier. You may slice an avocado and sprinkle it with black pepper or whatever you like to make a great snack. Make use of the creamy texture of avocados and use them in place of mayonnaise. You will be surprised at how well they go with almost every recipe. Try a refreshing avocado ice pop as a frozen dessert in warm weather. The creamy consistency of avocados will work best as a thickener for your dips. Avocados have a bland taste which works well in puddings and other desserts. Try what works best for your taste buds. Avocados are the only fruit containing mono saturated fat which is known as the good for health fat as it lowers bad cholesterol and increases good cholesterol. Avocados are the size a baby at 16 weeks and are prefect food for babies and adults.Avocados are free from gluten and cholesterol. They are full of flavor and do not need additional seasoning. Avocados are packed in a natural way with its thick skin to protect the inner green part. Avocados can be ripened by putting them in a brown bag for a couple of days. You may also put a banana or apple in the bag to speed them ripe. Avocados are supercados known so because of their healthiest properties. They are an anti aging food which help the skin retain its smoothness and creaminess just like the fruit itself. Avocados are unique as they mature on the tree and ripe after they are taken off. Avocados are a symbol of love and fertility and they also need love to bear fruits through a mating tree nearby. Flowers on a single tree can all be either female or male which is why they need a partner to mate. There are over 500 varieties of this wonderful fruit on Earth. Get your favorite one to enjoy all health benefits. Avocados are the fruit with highest protein content of 4 grams. No other fruit can compete in terms of protein therefore. Avocados will add joy to your parties as you use them for salad dressings and dips. People use them as an all time hit ingredient for guacamole dips. As we often say for apples to eat every day, avocados can be a healthy choice if you eat them daily. But do not eat more than one avocado as one will be enough. Avocados are an excellent source of fibers including soluble and insoluble ones. The soluble fibers help pass out the poop easily through the intestines whereas the insoluble fiber helps makes more poop which will make you poop more often. How Many Avocados Can You Eat Daily? Although the health benefits are amazing and you would want to eat as much as you can but it is still recommended to eat avocados in moderation as they are high in calories. A single avocado makes up for 10-20% of the daily calorie requirement so you should just stick to this quantity and not exceed. Is it Possible to Live on Avocados? Well, we assume the health benefits to be enough for living a life which is absolutely wrong. The human body needs all nutrients from varying foods and only that can make up for a healthy nutritional requirement. There is no single source of food that can provide you with all the nutrients. It is therefore essential to opt for as much variety as you can. Avocados are an excellent choice if you want healthy fats and protein in your diet combined with all the nutritional value. They serve as the best snack and ingredient for other recipes as well. Avocados are full of taste and health benefits which is why people want an avocado everyday. Keep the intake moderate and enjoy all health benefits for your heart and overall immune system with boosting minerals and vitamins contained.